Livelihood diversification is one of the essential climate adaptation strategies with positive outcomes on household’s standard of living. Therefore, the identification of factors that are necessary for livelihood diversification are crucial. 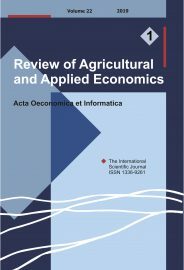 Within a gender perspective, this study analysed the determinants of livelihood diversification among farmers in the northern regions of Ghana. A multistage sampling procedure was used to select 619 farmers and the data was analysed using multivariate probit regression for the pooled and separately for the gender groups. The livelihood diversification strategies identified were crop diversification, crop-livestock diversification, crop-trade diversification, crop-agro-processing diversification and crop-professional/skilled employment. The multivariate probit results showed that socioeconomic, institutional factors, climate factors, and household assets have significant influence on each diversification strategy. The assumption of gender difference in the factors that influences livelihood diversification is appropriate since some factors which influence specific livelihood diversification for females do not have significant effect on males. Improving the financial assets, social and human assets of farmers is important to enhance the diversification of farmers. There is also the need to improve awareness of farmers on climate shocks in order to enhance diversification decisions.